Cranberry ginger chutney is an easy chutney which you can make it instantly for pesarattu or idli or dosa. 8-10 red chilies depending on how spicy you want. Cut or grate jaggery if needed. In a small sauce pan heat oil on medium heat and fry red chilies and transfer them into another bowl. 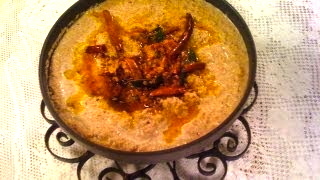 In the same oil now add chana dal, urad dal and fenugreek seeds. Keep stirring and fry them until they turn slightly brown. Transfer them into the same bowl along with red chilies. Now in the same oil prepare the tempering. If you need, add little more oil to the pan. When the oil is hot add mustard seeds, cumin seeds and let them splutter. 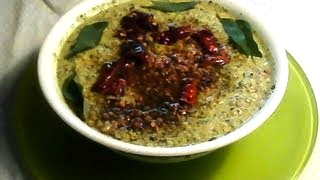 Then add hing/asafoetida and curry leaves. Give a quick stir and turn off the stove. Keep this tempering aside. 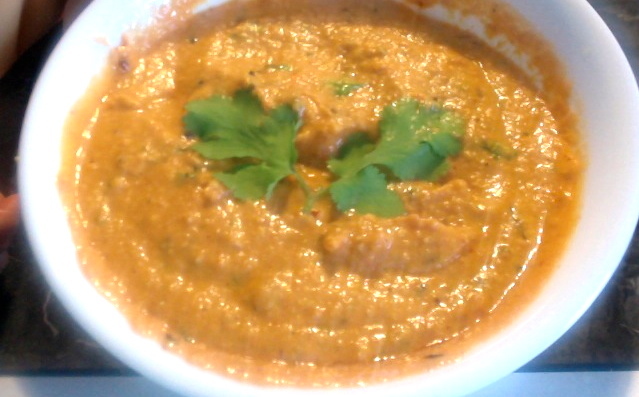 Into your blender/mixer jar take red chilies, chana dal, urad dal and fenugreek seeds. Grind them into a fine powder. Then add cranberries, ginger, jaggery or stevia and salt. Again grind them into a fine paste along with some water. 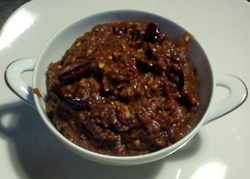 Transfer the chutney into the sauce pan with tempering. Mix them well. If you need to add some salt you may add it now. 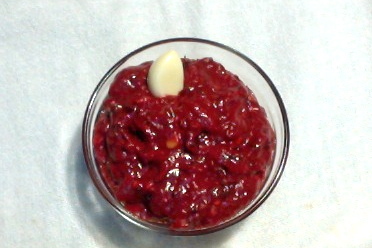 Cranberry ginger chutney is ready. You may serve this as a dip for pesarattu, idli, dosa etc.